After Reliance Jio now Idea has launched 3 new exciting Mobile Apps – Idea Music Lounge, Idea Movie Club, and Idea Game Spark – giving birth to a “Digital Idea”. The new suite of integrated Digital Apps present one of the best range of entertainment content for its nearly 200 million customers. The 3 Idea Entertainment apps were launched at an event in Mumbai by Mr. Himanshu Kapania, Managing Director of Idea Cellular, in the presence of partners along with senior executives from Aditya Birla Group and Idea Cellular. These digital content applications will serve as a one-stop entertainment destination initially for Idea subscribers, providing access on the fingertips to a large collection of popular and premium content, including a rich assortment of Hindi, Vernacular and International content. With the launch of Idea Music Lounge, Idea Movie Club and Idea Game Spark, the company has begun its transformation from a pure play mobile operator to an integrated digital services and solutions provider. Idea Music Lounge, Idea Movie Club, and Idea Game Spark offer a complete suite of digital entertainment services and mark Idea’s entry into the world of digital services. Idea Music Lounge offers a rich library of nearly 2 million Indian and international music tracks initially, going up to nearly 20 million tracks soon, on Google Play Store and coming soon on iOS store. Idea Music Lounge hosts diverse content not only across 13 Indian languages, including Bollywood, South Indian Cinema etc, but also across International artists, albums and tracks from several major Music labels. Idea customers can stream music for free or download it 24x7. The app also allows customers to create their own music playlist in addition to curated playlists and Radios. Idea Music Lounge comes with a number of leading features such as ‘DJ Mode’ which enables transition of songs similar to DJ effect; ‘Wake Up Mode’ with the consumer’s favorite song, and ‘Dynamic Lyrics’ feature to enable customers to sing along while listening to their favorite tracks and ‘Data Saver mode’.The standard Idea Music Lounge subscription with unlimited downloads in the App is priced at just Rs. 49 for a month, while streaming of unlimited music is free. However, an exclusive introductory offer allows subscribers downloading the App till 31st March 2017, a free subscription for 90 days. Idea Movie Club caters to the ever-growing video content needs of consumers, offering thousands of blockbuster movies, Live TV, 7 days catch-up TV, along with a series of Original content and Short Videos across all genres and several languages. The rich content of videos and movies from Bollywood, South Indian & Regional Cinema will appeal to people across all age groups, including kids, for whom there is a host of animation and learning videos. Live and Catch up TV including premium channels, is offered in collaboration with Ditto TV. The app is available on Google Play Store and iOS store.The standard subscription charge to Idea Movie Club App is competitively priced at just Rs. 49 per month for unlimited Movies, Videos and TV streaming. As a part of the exclusive introductory offer, all subscribers downloading the Idea Movie Club App till 31st March 2017 will be able to use this service for free for next 90 days. Idea Game Spark is the ultimate gaming destination with a collection of over 1,500 games across all genres. Targeted at the gaming aficionado and the casual gamer, the games can be played both in the online and offline mode. Idea Game Spark can be accessed by all Idea as well as non-Idea users on www.ideagamespark.com. The store features popular gaming content from several leading gaming studios. Idea Game Spark is also the first subscription game store offering the latest and popular, Virtual Reality Games. Once subscribed to the store, the customer can download unlimited games across genres such as Racing, Cricket, Cards, Sports, Bollywood etc. including premium titles like ‘Virat Cricket’, ‘Need for Speed’, and many more. Games are available on monthly subscription basis and the company intends to introduce range of other tariff models such as pay per download and freemium. The store also gives games users access to hundreds of free games. Idea Game Spark monthly subscription charges are very competitively priced at just Rs. 29 per month for unlimited games both online and downloads, for all consumers. As a part of the exclusive introductory offer, post sign-in of the Idea Game Spark App till 31st March 2017, 90 days of free subscription will be available. The digital services and apps provide all kinds of payment options viz. wallets, debit/credit card and net-banking etc. All these modes enable the user to pay easily and securely for games, subscriptions, avail offers and make in app purchases. 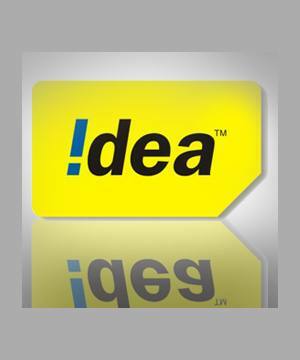 Idea’s foray into digital services comes on the back of its success in taking mobile voice services to the Indian masses, and establishing a mobile broadband infrastructure in recent years. The company’s sprawling mobile voice network spans 400,000 towns and villages in the country, covering over a billion Indians who can enjoy Idea’s high quality mobile voice services. Idea has been the ‘Fastest growing telecom operator’ for 8 consecutive years, and today enjoys the trust of nearly 200 million Indians. Idea’s 4G services, are presently available across 11 existing telecom service areas. The company already offers 3G services across 21 telecom services areas on its own spectrum and in partnership. Over the last one year, the company has more than doubled its mobile broadband network on 3G/4G platform, and now covers over 50% of India’s population. Idea’s mobile broadband data services are currently available to nearly 500 million Indians across nearly 100,000 towns and villages. The company is now gearing to launch its 4G LTE services in its 9 new 4G telecom service areas and 3G services in Bihar and Rajasthan, by March 2017, thereby making Idea broadband services available pan India.